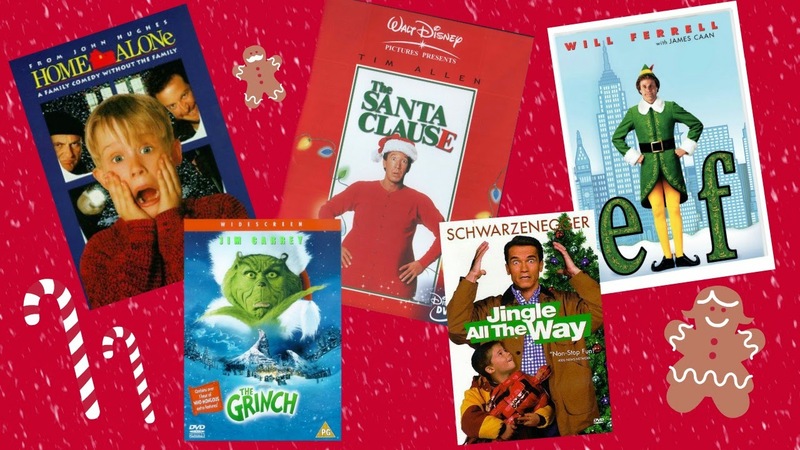 THE ONLY Christmas Movie Guide that you will need this holiday season! Christmas time is fast approaching and what better way to get yourself into the spirit by indulging in a few (or 20) light-hearted movies! I have compiled a list of some of my favourites for you, that I watch time and time again when the holiday season rolls around. To date, one of my absolute favourites to watch all year round, way back when Macaulay Culkin was a cutie-patootie! About an eight-year-old boy who is mistakenly left behind when his family flies to Paris for their Christmas vacation and he is left to defend his home against two burglars. I actually re-watched this the other day and I love how it still entertains me as a 20 year old, as much as it did when I was a kid! If you didn't want to be Cindy Lou-Who growing up then I don't know what you were doing. Based on the Dr. Seuss book of the same name, this movie explores the backstory of The Grinch and how he came to be so grouchy about Christmas. I actually cannot express to you how much I love Tim Allen and this movie series was one of my favourites growing up as a kid! When Santa falls off a roof, it's up to Allen's character to literally fill his boots. Hilarity ensues as he tires to convince his friends and family that he is actually the new Santa Claus! Oh man, I haven't seen this movie since it was released on VHS! The movie follows two rival fathers as they try to find a 'Turbo-Man' action figure for their sons on Christmas Eve. Full of laughs, this is definitely one on my re-watch list this year! Will Ferrell as one of Santa's elves learns of his human heritage and goes to New York to find his biological father while along the way tries to spread the Christmas cheer in a world of non-believers. So bless, and definitely one that's on everyone's movie list this Christmas! I hope this movie guide gets your Christmas spirit pumping and ready for the coming weeks! Let me know what your favourite Christmas movie is to watch in the lead up to the holiday, I'll need to add it to my list! Love this holiday movie guide! ELF and The Grinch are the best :) I'm going to have to check out some of these! Thanks! I've already started working on watching these!